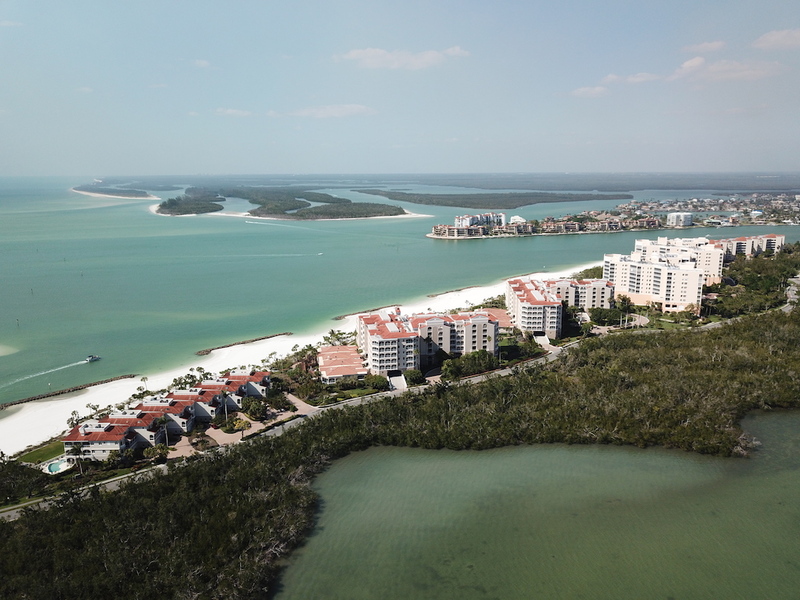 The Royal Marco Point community is located on the very tip of Marco Island’s Hideaway Beach. This secluded location overlooks Coconut Island and the Marco Bay and River. This ensures that no matter what unit your standing in you are guaranteed breathtaking water views. In addition, the Rookery Bay National Estuarine Research Reserve is tucked away just south of Royal Marco Point. Hideaway Beach is a 314 acre resort community located on the North Shore and is one of the most unique residential communities within our Island of paradise. It offers two miles of beachfront with 50% of the property forever preserved in it’s original state. Lush landscaping, Gulf of Mexico views, a beach club, tennis center, golf course, fitness center, fine dining and more! This Hideaway Beach Condominium community consists of: Royal Marco Point One (1000-3000 Royal Marco Way) 125 Beachfront Residences, 6 Beach Villas & 11 Beach Cottages. Royal Marco Point Two (The Riviera- 4000-5000 Royal Marco Way): 112 Beachfront Residences – 9 story mid rise and Royal Marco Point Three (The “6000 Building”) with 78 Riverfront Residences – 7 story mid rise. Each of the above have their own condominium association as well as being part of the Master Hideaway Beach Association.